These football goalkeeper awards trophies are ideal for recognising and rewarding goalkeeping achievements. 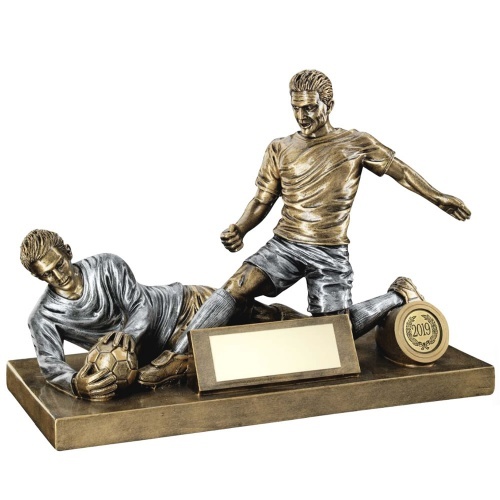 Crafted in durable resin, they comprise a detailed scene of a keeper saving at the feet of an opponent. The award includes an engraving plate and is finished in an attractive antique bronze and silver colour finish. Engraving can be applied to the plaque. The dimensions of this trophy are: 7.5in (191mm) x 10.5in (267mm).